Why is Attorney General Jeff Sessions promising a crackdown on leaks out of the government? There are hundreds of reasons. Hundreds of leaks, revealing information to the public that was intended to be private, triggering hundreds of news stories. Unauthorized disclosures have bedeviled government officials for as long as there have been governments. President Trump and his aides have been especially troubled by leaks this year -- partly because there have been so, so many of them. It's been a torrent, really, of several different kinds of Trump-related leaks. This week alone, there are a dozen different big news stories that are based on anonymous sources or leaks of internal memos. Journalists -- the recipients of these leaks -- typically argue that these stories are in the public interest. "Only in DC do folks who make questionable decisions deflect blame by attacking 'leakers.' Stop doing questionable things and leaks will stop," NBC's Chuck Todd tweeted Wednesday morning. "For those out there who are frustrated by leaks, I understand that, because that can be an issue," Erin Burnett said on her CNN show Tuesday night. "But if it weren't for these leaks, we wouldn't know how many lies there are. Because what these leaks are repeatedly exposing is that this White House has lied again and again." Some sources who provide sensitive information to journalists do it to expose malfeasance. Advocates argue that these people are brave whistleblowers. But not all leakers are heroic. Far from it. Different sources have different agendas, and it's often difficult to ascertain exactly what those agendas are. Some leakers may be motivated by envy, one-upmanship or revenge. 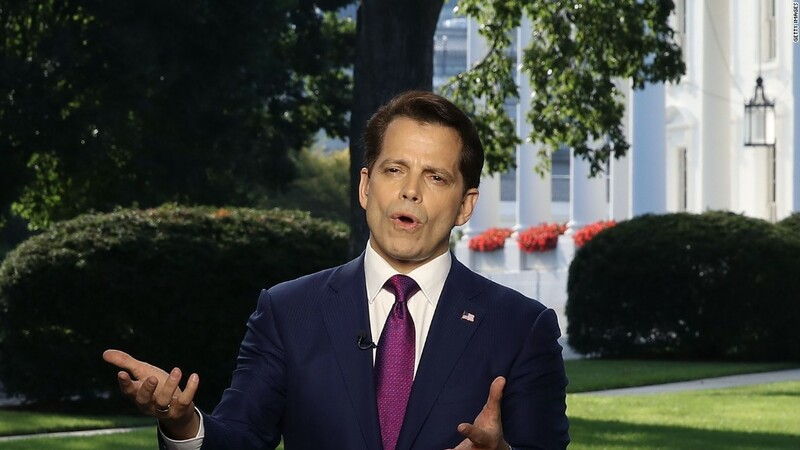 Anthony Scaramucci railed against White House leakers during his very brief tenure as White House communications director. He vowed to identify and fire leakers. President Trump has also condemned leakers. Analysts have speculated that Sessions is trying to please the president by holding a public event promoting a leak crackdown. Sessions will hold a press conference on the subject on Friday, according to a Justice Department official. There are many different categories of Trump-related leaks. Most of them, despite what the White House and its supporters often imply, are completely legal. Others are leaks of documents and internal deliberations. Still others are disclosures of sensitive, sometimes top-secret national security information. Trump and his aides say those leaks are the most concerning. "I want the attorney general to be much tougher on the leaks from intelligence agencies," Trump said last week. "These are intelligence agencies. We cannot have that happen." The Justice Department is known to be prosecuting one such case -- a federal contractor named Reality Winner is accused of sharing classified NSA info with The Intercept web site. The issue is not new. The Obama administration aggressively pursued alleged leakers. Now, with Trump in the Oval Office, his supporters and conservative media allies want to see an aggressive response to the daily drip-drip-drip of secretive and just plain embarrassing information. Journalists marvel at how "leaky" the Trump White House has been. Some sources of Trump-related leaks seem motivated by concern about administration dysfunction. Scaramucci himself alluded to that, saying, "There are people inside the administration that think it is their job to save America from this President" during an interview with CNN's "New Day." "Oftentimes with Trump, a leak isn't just a leak; it's an effort to save him from himself," Aaron Blake of the Washington Post wrote earlier this week. He asserted that the Post's bombshell story about the president writing Donald Trump Jr.'s original, and misleading, statement about a Russian lawyer meeting -- a story sourced to the president's own advisers -- was a "remarkable cry for help." Prompted by the Post's scoop, White House press secretary Sarah Huckabee Sanders essentially confirmed the president's involvement on Tuesday. A couple of hours later, Politico was the recipient of an unusual leak from inside the Wall Street Journal: a complete transcript of the Journal's recent interview with the president. The transcript had been circulating inside the paper, but had not been printed in full. So Politico went ahead and published it. Another website, Wired, published the audio on Tuesday of Jared Kushner's comments to congressional interns at a private lecture. The interns were warned that recording it would be a "breach of trust," but someone leaked it anyway. A version of this story first appeared in our nightly media newsletter. Sign up here for "Reliable Sources."